The MAC address means Media Access Control address. This address just to the hardware information of a computer. Hardware like Wireless adapter and Ethernet adapter etc. Computer users need to know MAC address to share their connection. 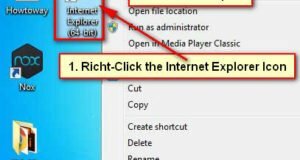 You can easily find a computer MAC address in Windows 7. If you want to get MAC Address any devices then follow the below instructions. 1. 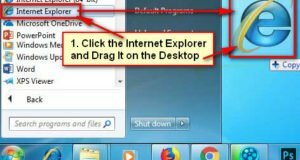 Press the Windows 7 start button and type the cmd into the search bar. Right-click the cmd.exe from top of your search result and select the Run as administrator option. 2. Type the getmac in front of next arrow and hit the Enter button. Your computer Physical Address and Transport Name will open in the command prompt dialog box. If connected the manly devices and it shows several addresses then you need to follow more process. 3. Input the ipconfig/all command and hit the Enter button. 4. Then you will see the MAC address with all Ethernet Adapters, Tunnel Adapters and Warless Adapter. 1. Hit the start button on Windows. Type into the search bar Network and Sharing Center and select the Network and Sharing Center on the search result. 2. Go to the “View your active networks” section in the network and sharing center window. You will see the all active network connections. Click the in front of Connections on your network name link. 3. Your network status window will open. Make sure that General tab is selected on whit window. 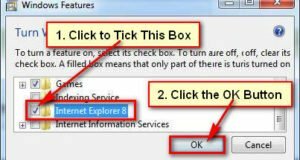 Inside the General tab, select the Details button to get MAC address in Windows 7. Network connection details window will display on your screen.